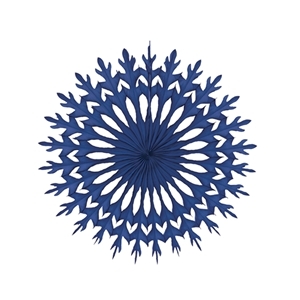 Home → Visual Display → Hanging Paper Decorations → Paper Snowflake Blue 11"
Create an unforgettable visual display in your business with our new hanging paper decorations. Mix and match, or choose within one color palette to design the perfect display that will showcase your brand. Our hanging paper decorations are available in a variety of styles, sizes and colors, and are made of high quality paper. Perfect for promotional events, seasonal and holiday displays, window displays, or to create a fun and festive environment.